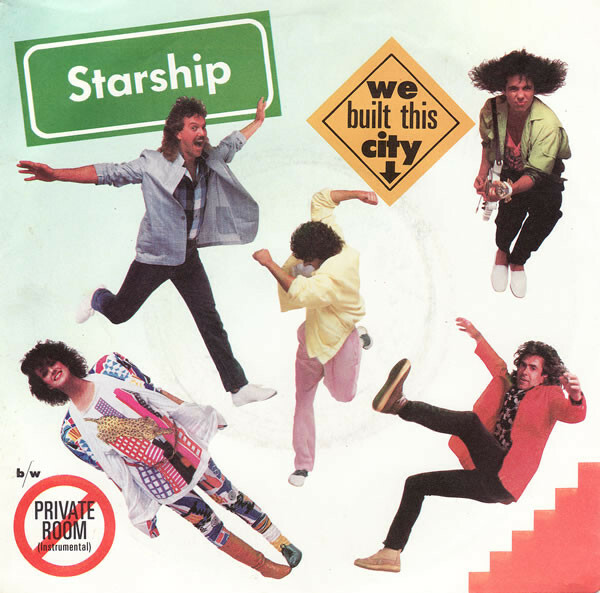 "In 2011 a Rolling Stone magazine online readers poll named "We Built This City" as the worst song of the 1980s. The song's winning margin was so large that the magazine reported it "could be the biggest blow-out victory in the history of the Rolling Stone Readers Poll"
The song was engineered by producer Bill Bottrell and arranged by Bottrell and Jasun Martz. The song features Mickey Thomas and Grace Slick sharing lead vocals. MTV executive and former DJ Les Garland provided the DJ voice-over during the song's bridge.Additionally, some radio stations, with the help of jingle company JAM Creative Productions in Dallas, Texas, would insert their own opening line to promote the station the song would play on.